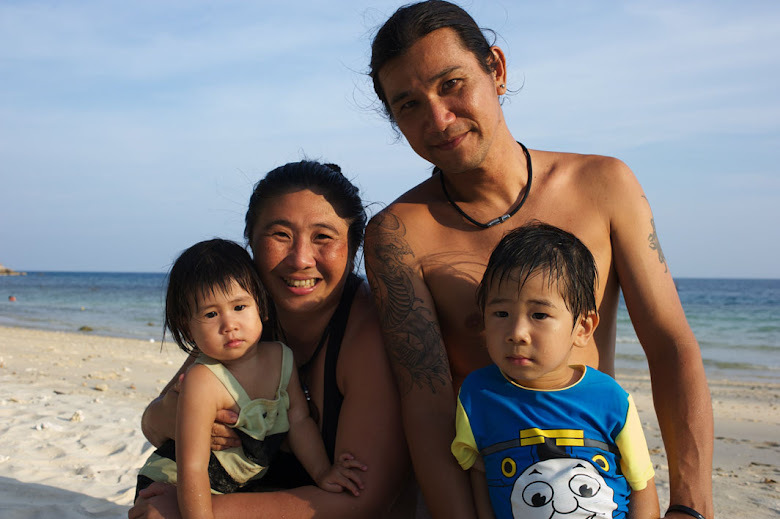 The stories of little beach bums: KJ & KA: Life's a Beach! Hello Everyone! How are you? Me? I am very busy! 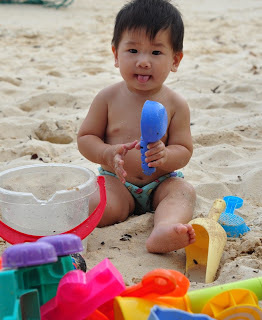 Busy learning to walk, exploring my world, and busy being a full time beach bum! Come join me and see a day of my life! after my papa will join me when he is done with work, and we will do the boat jump, I love this game a lot! I love hanging out with me papa and mama on the beach! Now that I can walk, I can join them to walk the beach! After the sun went down, mama will make me dinner, and these are some picture of me posing for camera. Ok, am tired now, will keep you posted soon! Bai bai! Miss you so much. Such a good life you have! Walking is fun, ya!